TUNKU MAHKOTA JOHOR TUNKU ISMAIL led the Johor-Ellerstina polo team to victory in the AAP Metropolitano Alto Handicap (24 goal) Tournament in Buenos Aires, Argentina, recently. Playing on the No. 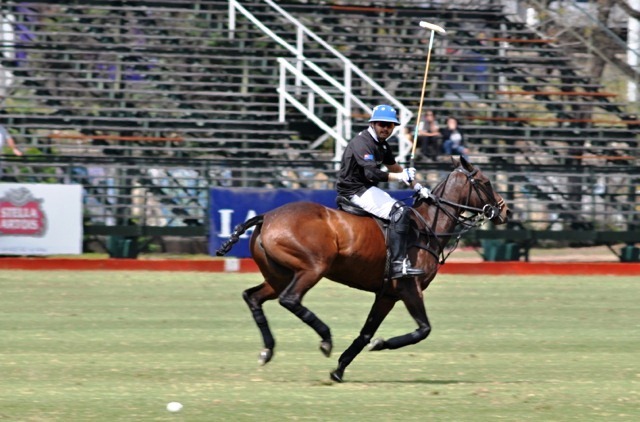 1 polo field at the famous Palermo Stadium in Buenos Aires, Tunku Ismail showed his mettle by scoring in the final seconds of the tournament to help retain the title they won last year. In the closely fought and exciting match against a very strong La Dolfina Valiente team, played over six chukkers. Tunku Mahkota’s team won 9-8. The win was even more special as among the hundreds of people gathered to watch the finals was none other than Sultan Ibrahim, who came to cheer and support his sons. Sultan Ibrahim’s other son, Tunku Abdul Rahman, who was playing in the AAP Abierto Juvenil (Under-21) final, could not make it a double celebration when his team lost 11-8 to La Canada. The match was also played over six chukkers and was contested very strongly by both teams and was even until the halfway point of the match. Thereafter, La Canada took advantage to take the title.